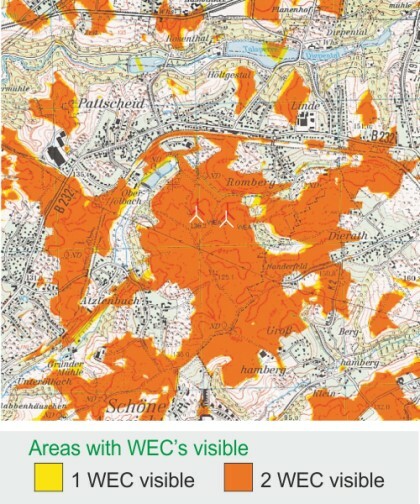 Our visibility studies find out the locations from where your planned wind farm will be visible. Based on digital databases, topo-graphic maps and aerial photographs, view-obstructing elements such as trees, houses, forests, towns, etc. as well as the orography (hills, mountains, valleys) will be taken into con-sideration. Computer-assisted modeling allows us to map areas that have a complete or partial view of the proposed wind farm.